Apple and Samsung Electronics told a court in California that they had failed to reach a settlement in their patent dispute, suggesting that a deal akin to that between Google and Apple may not be on the cards anytime soon. In a joint filing late Monday, the two companies blamed each other for the failure of the talks initiated on May 5 by the U.S. District Court for the Northern District of California, San Jose Division. The feuding companies have recently agreed to begin talks to settle patent disputes out of court, The Korea Times reported Monday, citing people directly involved in the matter. Apple and Google, whose Android operating system is used in most Samsung devices, last week said that they had agreed to drop all current patent infringement lawsuits between them. The agreement between the two companies did not, however, include cross-licensing of each other’s patents. A jury in the California court ruled earlier this month that Samsung should pay Apple about $119 million for infringing several Apple patents related to smartphones and tablet PCs. Some Apple products were also found to infringe a Samsung patent. 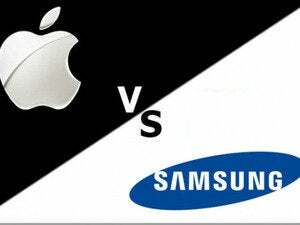 In a separate dispute in the same court, Samsung was earlier also ordered to pay $930 million to Apple, a decision which Samsung has appealed. When the California court inquired on May 5 whether Samsung and Apple were willing to engage in further alternative dispute resolution, the counsel for Samsung stated they “were always willing to participate if there is an interest in doing so,” according to the filing Monday. Apple also conveyed its willingness to engage in further discussions. 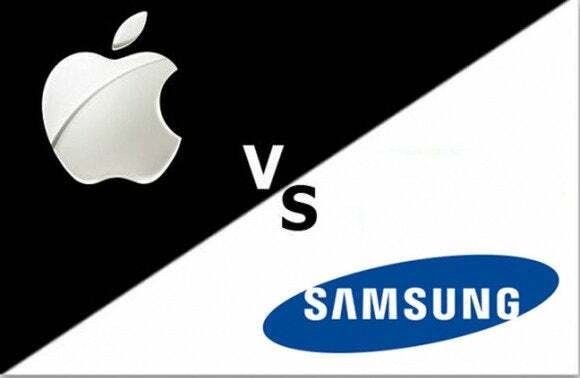 Quoting news reports, Apple argued that soon after the agreement for new discussions, Samsung’s lead counsel made a number of statements suggesting that Samsung has no interest in stopping its use of Apple’s patents or compensating Apple for past infringement. “Apple hasn’t collected a penny—or succeeded in taking any products off the market,” the counsel is reported to have said, while claiming that the jury decision would not stand. Samsung did not agree not to argue, as it had done in the past, that Apple’s interest in pursuing an alternative dispute resolution reflected a willingness to license Samsung to Apple’s patents, according to Apple. The iPhone and iPad maker held out the possibility that it may engage in fresh discussions with Samsung if the South Korean company gave assurances that it will not use Apple’s participation to resist an injunction or reduce a royalty in any of the worldwide litigations, and that Samsung is genuinely interested in reaching a resolution of the issues. The condition being imposed by Apple for discussions would be a non-issue if it were truly interested in a global resolution of all cases between the parties, Samsung has argued in the filing. The statements attributed to Samsung’s counsel have “little, if anything” to do with the company’s willingness to discuss a settlement. The statements were in connection with Samsung’s belief that parts of the juries’ verdicts will not withstand appeal, Samsung said.